We’re pleased to announce that our wonderful new Hanban teachers for 2012-13 have arrived. The teachers landed very early on a cold November morning at Gatwick airport. Despite their 11-hour flight from Beijing the teachers were smiling and cheerful as they stepped off the plane and set foot on English soil. Welcome to the UK and here’s to a great year ahead! 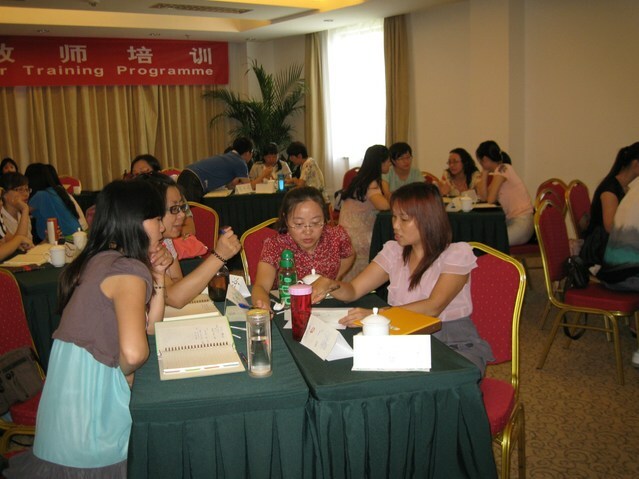 Each year a new cohort undertakes a rigorous Hanban selection process in China to select the very best teachers for an opportunity to live and teach overseas. The successful candidates are those who are the most capable and enthusiastic teachers specially chosen to represent their country abroad as language and culture ambassadors. Once here in the UK, the Hanban teachers support their host Confucius Classrooms in a variety of ways. Foremost, they are fully qualified Chinese language teachers, with responsibility for timetabled classes in their host schools. In many cases, they also travel to teach lessons in other local secondary and primary schools. The visiting teachers are often impressively accomplished and will take the lead in areas of interest such as traditional Chinese crafts, painting, cooking, singing, musical instruments and martial arts. They are typically very conscientious and generous with their time, supporting their hosts with all manner of extracurricular programmes and outreach activities in their local communities. The host Confucius Classroom schools in turn play a vital role in welcoming their Hanban teachers as members of their staff community and ensuring that the teachers’ stay is comfortable and fruitful. This is a unique opportunity for the visiting teachers to experience teaching in the UK’s education system and for the Confucius Classrooms to learn from the best practice of China’s teaching elite.